I’ll also own up to the fact that there are many shows on other critics’ lists I haven’t seen, or have seen only a little of. The most glaring omissions, consensus-wise, are “The Leftovers” and “You’re the Worst,” both shows that failed to grab me in their first seasons and I lacked the time or motivation to catch up on later.. (Also on my List of Shame: “Review,” “Inside Amy Schumer” and most Comedy Central shows; “Rectify”; “Documentary Now!”; “Catastrophe”; anything you love that isn’t mentioned below.) Nearly every critic who’s kept watching says they’ve grown by leaps and bounds since then. (“You’re the Worst,” in particular, sounds like it’s moved into much more promising territory.) But like most other TV watchers, professional or not, I’ve grown wary of assurances that this or that show really catches on if you just stick with it. As the New York Times’ James Poniewozik wrote, “There is always someone who will tell you that a Netflix series gets good six or seven episodes in. I have only so many more six-or-seven-hour stretches left in my life.” If I had the power to beam a single message into the brains of every TV creator in Hollywood, it would be this: Don’t “get good.” Start good. Get better. You may, if you wish, cut this off after ten entries and call it a Top 10 list: You’ll lose some top-notch shows, but if I had to pick ten, the first ten are the ten I’d pick. But I don’t, so I didn’t. Clear enough? “Transparent”: Without getting into the tiresome TV vs. movies debate — which is better: knives or spoons? — television’s Achilles’ heel is the stylistic straitjacket imposed by its assembly-line production system. From the stunning four-minute shot that opens its second season, Jill Solloway’s series gives those conventions a loving but mighty shake, employing a fluid visual language more akin to independent films than traditional TV shows. Eschewing the ostentatious mock-greatness of “True Detective” or “Fargo,” ” Transparent” is deceptively light on its feet, never letting us settle into a comfortable or static relationship to its perpetually screwed-up characters. Having spent the first season getting us more or less on the Pfeffermans’ collective side, Solloway uses the second to dig deeper into their shared pathologies — a show about boundaries challenging its audience to redraw their own. 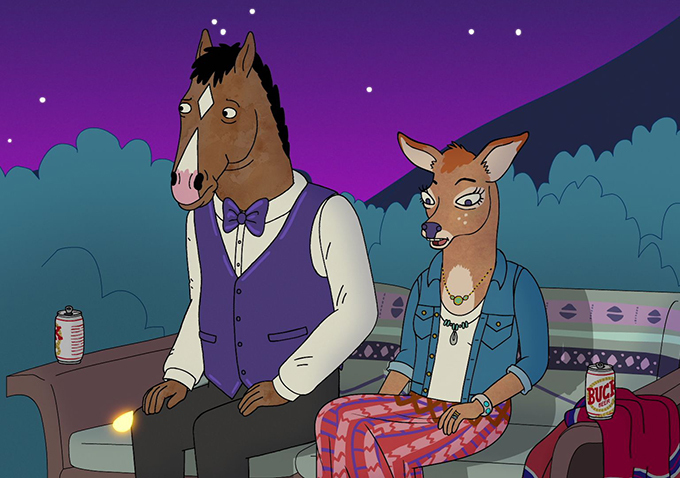 “BoJack Horseman”: I wouldn’t have guessed at the beginning of 2015 that a show about a washed-up sitcom star who happens to be a cartoon horse would haunt me more than any other, but Peak TV has allowed many strange flowers to bloom. Like “Transparent,” “BoJack” spent much of its second season doubling down on its hero’s least likable qualities, namely his pathological narcissism and morose anhedonia. But it also placed those potentially alienating traits in the context of what, though it was never named as such, became one of the most detailed and empathetic portrayals of clinical depression that either the small or big screen has ever seen. “I want to feel good about myself,” BoJack tells his nemesis, the thoroughly mediocre yet perpetually upbeat yellow Lab Mister Peanutbutter. “And I don’t know how. I don’t know if I can.” A mirage of past contentedness offhandedly referenced in early episodes grows into an obsession, which the show’s equine hero then demolishes in a grotesque act of self-sabotage. But in hitting rock bottom, he finds a kind of freedom, and a sliver of hope in a closing conversation I’ve thought of dozens of times since. “You have to do it every day.” You really do. “Mad Men”/”Justified”: When viewers have years invested in a show, paying off that accumulated expectation can be almost impossible. But both “Mad Men” and, more surprisingly, “Justified” went out at the top of their game, with final seasons and final scenes that retrospectively deepened all that had come before. Read more: Debating “Mad Men’s” Finale, “Lost Horizon”: What Does That Ending Mean? “Last Week Tonight With John Oliver”: The timetable doesn’t allow for the instant gratification of John Oliver’s former gig, but he’s made his weekly HBO half-hour compulsory viewing, taking on subjects with depth and insight that neither “The Daily Show” nor its straight-news counterparts can (or choose to) match. Part viral #content, part longread, “Last Week” is ingeniously conceived to hit 2015’s culture right where it lives. “The Americans”: True believer Elizabeth Jennings (Keri Russell) starts to question her allegiance to Mother Russia in the FX’s series darkest and most visceral season yet. Nina Sergeevna’s Russian Prison Adventure didn’t go anywhere interesting, and the wrapup to the Martha subplot felt like a failure of nerve, but Lois Smith’s heartbreaking turn as a knowing victim of the Jennings’ cold-blooded spycraft sent a chill through the whole series. 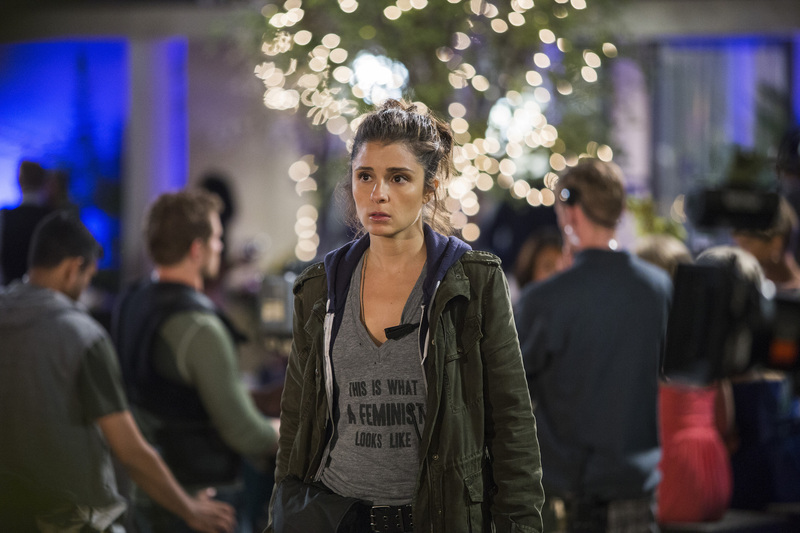 “UnReal”: TV’s most engrossing hot mess, Shiri Appleby’s Rachel Goldberg is an avowed feminist with an uncanny aptitude for wooing other women to their doom. Co-created by reality TV veteran Sarah Gertrude Shapiro, the show offers a corrosively cynical take on the construction of romantic narratives while both admitting and exploiting their power. “Fresh Off the Boat”/”black-ish”: Perhaps if this series about an Asian-American family displaced to the Florida suburbs hadn’t launched in the same year and on the same network as “black-ish,” the two shows would be easier to separate, but at least for me, the latter lives slightly in the former’s shadow. “Black-ish” is arguably bolder and unquestionably bigger, but I prefer “Fresh’s” low-key sliders to “black-ish’s” over-the-top fastballs. Nonetheless, I dream of a time-travel comedy where Constance Wu and Tracee Ellis Ross’s characters hit the road in search of adventure. “Jane the Virgin”: The abrupt fast-forward near the second season’s midpoint felt like an acknowledgment that this postmodern soap opera was losing steam, but when the Villanueva women gather in their kitchen, there’s no place I’d rather be — except perhaps gazing deep into Rogelio’s eyes. “Hannibal”: The last stretch of the series’ final (sob!) 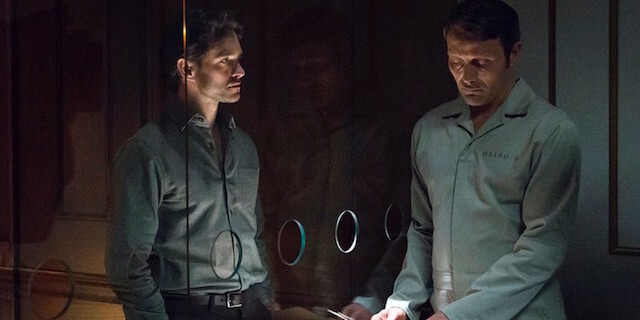 season felt like the first time showrunner and Thomas Harris remixer Bryan Fuller was defeated by his material: “Hannibal’s” “Red Dragon” may have been the best, but it was still the fourth, counting Harris’ novel and two previous films, and diminishing returns set in. Still, the season opened on a bold aesthetic note and closed on a delirious high, and if this is indeed the end, it was a delectable one. Farewell, “Hannibal.” We will not see your like again. “The Flash”: TV lists compiled at the end of a calendar year are in the awkward position of judging halves of two different seasons: Were I considering the end of “The Flash’s” first season, it would be higher; the beginning of its second might not have made this list at all. First, the bad: “The Flash” and its lesser cousin, “Arrow,” spent far too much of the fall setting up the “Legends of Tomorrow” spinoff; the interconnectedness of the CW/DC universe is one of its strengths, but both shows were hamstrung by the need to lay track for the network’s latest property. The good: The perfected mixture of comic-book absurdity — Telepathic gorillas? Sure! Parallel dimensions? You betcha! — and surprisingly involving melodrama. (Other shows that have trouble letting male characters show emotions other than anger and resolve should hire Jesse L. Martin to give crying lessons on-set.) Goal for 2016: Figure out what to do with female characters who aren’t Caitlin Snow. “Crazy Ex-Girlfriend”: Ironically re-appropriating what the show’s theme song acknowledges is “a sexist term” cost Rachel Bloom’s musical black comedy some initial viewers, but the show found its feet, if not much of an audience, and even when it stumbles, it’s so far out in its own unique territory I’m willing to forgive the false steps. Like “UnReal” and “BoJack Horseman,” “Crazy Ex-” filters a bracing depiction of mental illness through the lens of a genre that tends to normalize it. When someone asks what’s wrong with her and Bloom’s Rebecca rattles off “low self-esteem, a lack of maternal affection and a genetic predisposition for anxiety and depression,” it’s a laugh line; when she repeats it in a later episode, you realize you’re hearing the fruits of a lifetime of therapy that has brought her understanding but not anything approaching happiness. The musical numbers, many co-written by Fountains of Wayne’s Adam Schlesinger, are perversely catchy (and vice-versa), and though the show is still finding itself, it has moments of incandescent greatness. It will take some serious Peak TV magic for its anemic numbers to translate into a second season, but the TV gods took “Hannibal” away this year — they owe us one. Honorable mentions: “Mr. Robot” has a visual style as ostentatiously distinct as any show on the box, but the sub-“American Psycho” plotline involving Eliot’s tech-bro nemesis is a consistent drag. “Game of Thrones” is dazzling in its scale, but it’s starting to show signs of story fatigue; it’s getting bigger, but not deeper. “Master of None” knocked out several sharp episodes, and “Jessica Jones” took on heady themes, but both have Netxflix Problems, too uneven (the former) and too long (the latter) to maximize their cumulative impact. (Likewise “Unbreakable Kimmy Schmidt,” which swung for the fences but whiffed as much as it hit.) Perhaps it was a letdown only by the standards of the previous year’s high, but “Veep’s” fourth season was only fitfully great, although “Testimony” is an all-time classic. Disappointments: The long-awaited “Mr. Show” reunion “W/Bob & David” felt like a weekend project Bob Odenkirk and David Cross put together on leave from their day jobs: It was thrilling to see the gang back together, but the old magic surfaced only in spurts. “Supergirl,” CBS’s attempt to cut off a slice of that CW comic-book magic, started off strong, but for all its Tiffany Network sheen, it managed to look cheaper than “Arrow”, and its go-girl feminist rhetoric wasn’t matched by storytelling that embodied it. The Flash doesn’t spend every episode fretting over whether his crushes like him like that, and neither should Superman’s cousin. As for “The Good Wife,” where to begin? The sixth season’s distended Kalinda send-off became a full-on free-fall in season seven: the good ideas were recycled, and the new ones were all bad. I’ve loved the show for years, but if it continues on like this much longer, I’m ready for Alicia Florrick to close up her practice.